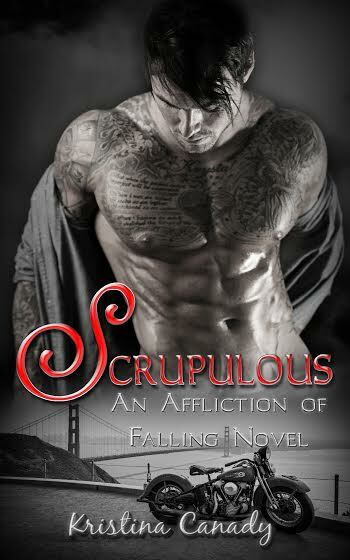 Scrupulous by Kristina Canady ~ Coming Soon! Book to be released August 1, Pre-Order Available now! PRE_ORDER SALE LINK: This book will have a pre order sale for only $1.99! Some men just can’t accept that a woman can be perfectly content without them. I mean, come on; a girl can get laid anytime she wants, it’s not like it’s hard. And lord knows, I have no interest in a relationship, there is no time for that drama-filled nonsense. Pursuing my passion in life is all that I have time for. Selfish and short sighted? Perhaps, but I know what I want out of life and have no problem going after it. Life is a string of decisions, constructed and manifested by us. I own mine and don’t apologize for it either. Defined by my past, I hadn’t ever considered love as an option for someone like me. That is, until I spotted that sweet little brunette from across the crowded room. It was magnetic, and as much as she tried to resist, I was going to have her. Come heaven or high water, she would be mine.